Bessey Industrial magnets are of the highest quality for fast, simple set-ups. With Bessey magnets, flexibility is the name of the game as they are often referred to as 'an extra set of hands'. 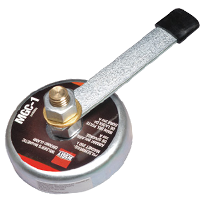 We carry a wide variety of Bessey industrial magnets that will offer most metal workers an option that fits their needs. Please take a look at the full line of high quality Bessey Industrial magnets below.